When Australia’s Shane Watson rang up Simon Hughes late one night to ask him for his advice on why it was that he kept on failing to convert good starts into centuries, Hughes (top score 53) was taken aback. But, as ‘The Analyst’ on television, he has built a career on closely assessing players’ techniques, and explaining to the nation the finer points of what players are doing right or wrong. Now he had a chance to put that experience into practice. The result is his latest book, part memoir, part insightful account of what it takes to be a modern batsman. It is not prescriptive. 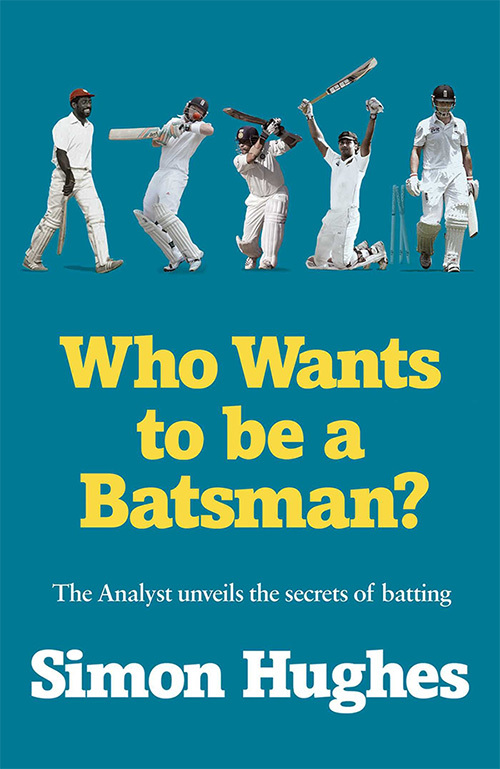 Referring to some of the greats of the game, he says ‘there is no right way or wrong way [to bat], just their way.’ This is a compelling and enjoyable read featuring many revelations from legendary batsmen and a fascinating interview with Kumar Sangakkara, that will help you understand a bit more about a complex art.